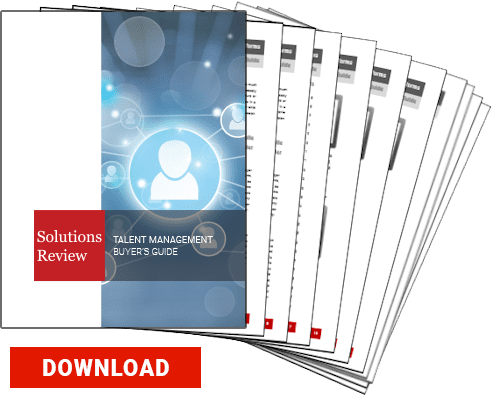 Advanced workforce analytics (otherwise known as human capital analytics), believe it or not, can be used to help manage talent. From predicting future top performers to grooming successors for key positions and identifying internal threats before they strike, today’s workforce analytics are powerful tools for employers. Generally speaking, workforce analytics is a combination of software and methodology that applies statistical models to worker-related data, allowing enterprise leaders to optimize human resource management (HRM). The main idea behind workforce analytics is to provide greater visibility into employee data which can then help enterprise leaders to develop and improve recruiting methods, make better-informed hiring decisions, and retain the top talent within a company. With huge amounts of data being generated by the various applications used by organizations, workforce analytics tools can provide critical insights into different aspects of the organization’s human resources. These insights can be leveraged to make better informed decisions. Workforce analytics give organizations a great alternative to applicant tracking systems because they have more comprehensive and relevant data, keywords, algorithms, etc. In this way, the results will be a lot more relevant and up-to-date as well. While performing background checks, for example, workforce analytics algorithms are designed to use external data, like social media activities, to get a more detailed profile of the candidate, which can reduce recruitment/hiring time. Workforce analytics can also provide insight into which sources or channels have a higher ROI (Return on Investment). As a result, organizations can target their recruitment strategies on those specific sources and channels where the returns are highest. They can be used to find out any risks in employee retention, the best candidate for a job role, compliance risks and a whole lot more. One of the major factors that cause employees to leave or stay in a company is compensation. Workforce analytics can be leveraged in this aspect to determine a fair compensation on the basis of data and information collected from various relevant external sources, years of service, performance, etc. Succession planning is another area where workforce analytics can be used – organizations can use details about employee capabilities and career paths to identify and prepare potential successors. Lastly, when organizations look for candidates before the interviewing process, the candidate’s public record and social media usage data are usually reviewed beforehand. Pre-hire analysis however, is a relatively new kind of workforce analytics. It be used to find and predict undesirable behavior of the candidates behavior pattern during the hiring process. This ensures that time and/or resources are not wasted on potential candidates that aren’t fit for the job role. Next Next post: Are HR Employees The Most Likely Target for Threat Actors?